Do you suffer from seasonal allergies? I know I do and it feels horrible. Itchy eyes, runny noses and just an overall feeling of a head stuffed with something that can’t be ignored. Medicine makes us tired, shorts hurt and every day something new is blooming. Add to this, all the animals that keep our carpets musty, filled with allergic properties. The winter is hard on us all. Everyone is cooped up including our dogs, cats, bunnies and other assorted animals our kids collect. Your carpets take it the hardest. The spring may help get them outside, but everything they left behind is in your carpets. If allergies are getting the best of you, now may the best time to get your carpets cleaned and rid yourself of its winter coat. With Oxi Green you are in luck. We guarantee the best cleaned carpets in the following cities: BENSALEM, LANGHORNE, MORRISVILLE, LEVITTOWN, WARMINSTER, SOUTHAMPTON. We clean residential carpets every day. We guarantee our service and we can even accommodate same day requests. 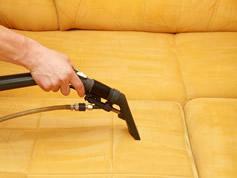 Maybe you have had your fill of allergies and think it is best to start with clean carpets. Many of our clients remark how it has made the house just shine and help alleviate pollens, and animal dandruff that creates an unhealthy climate. Clean carpets are the way to go and in BENSALEM, LANGHORNE, MORRISVILLE, LEVITTOWN, WARMINSTER, SOUTHAMPTON, Oxi Green is your surest bet for superior results. John Fitzpatrick is the owner of OxiGreen and knows how miserable it is to suffer from allergies. Why not be smart in 2015 and contact him at 215.269.3331 to make the difference right now. They are ready for your call and John guarantees his service. Which city do you live in or near: BENSALEM, LANGHORNE, MORRISVILLE, LEVITTOWN, WARMINSTER, and SOUTHAMPTON? We are ready to be your allergy solution.